In our fourth season Timepoint is exploring something close to us. Something that started us on a path and has lead to a transformation. One word, a lot of implications. For our fourth season Timepoint is exploring that very thing, we are excited to be working with local artists, composers, and creators. We are also excited to explore the idea of local through the eyes of those that called Calgary home and went off to create. There are some pretty exciting things planned this season, one I am paticularly proud and excited for. We are excited to be starting some new relationships with composer Veronika Krauses and the Old Trout Puppet Workshop as we are joining forces with them, Calgary Opera, and the Banff Centre for the world premiere of Veronika's "Ghost Opera". We are starting our season off with a night centered around local. 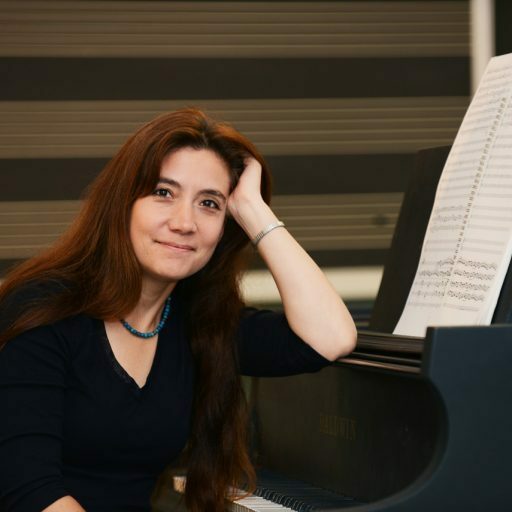 We are excited to be working with composer Ilkim Tongur and local artist Sunita LeGallou. Sunita will be creating live art that evening for her seconds time with Timepoint. (You may also know her work from many of our posters). In addition to Sunita we will be giving the world premiere to a work by Ilkim as well as performing works by other compsoers who call Calgary home or who did in the past. Veronika Krausas and André Alexis, the composer and Librettist behind Calgary Opera's "Ghost Opera" have a long history of working together. With multiple works created in collaboration between the two. This concert features music by Veronika Krausas that was inspired by or uses the writing of André Alexis, we will be joined by the always incredible Mark Ikeda on this concert to help bring these works to life. Timepoint is heading to Edmonton to perform with New Music Edmonton. Featuring a program that explores the space between silence and noise, and the sonic relationships that pair them together. With works by: Nicole Lizée, Peter Ablinger, German Alanso, Marie-Helene Fournier, Ted Hearne, and Owen Davis. Our "Pay what you want" concert for the season. We are excited to be presenting a wold premier by composer Jordan Berg, the winner of the 2018/2019 composer competition. As the winner of the competition Jordan has been working with Timepoint's core players during the process of the work being composed. Join us to hear this world premiere and even more music. As we continue our journey into the remarkable talent that is present in Calgary we are excited to be performing brand new works from composers Laurie Radford, and Vince Ho. Timepoint has had great relationships with both composers since our inception into the Calgary scene, and these relationships and their influence has been a major factor in where Timepoint has gone. We are honoured to be giving two world preimeres of works by them. Stan Climie is regarded as one of the foremost performers of the modern bass clarinet repertoire. He has championed works by composers from around the world and is especially known for premiering new works written for solo bass clarinet. Timepoint Presents has been a fixture in the Timepoint season since our first year. This season we are excited to present on of Calgary's most prominenant figures in new music Stan Climie. This is also the first time we are presenting a non-core member of the ensemble. We are thrilled to be announcing our involvement with the brand new opera "Ghost Opera" as being composed by Veronika Krausas with librettist André Alexis. This is an exciting project between The Old Trout Puppet Workshop, Calgary Opera's emerging artist program, as well as the Banff Centre for Arts and Creativity. Consider Donating to the Timepoint Ensemble. Your generosity allows us to pursue performance projects and education initiatives that not only grow our ensemble but the Calgary community.